Note: There is a fair amount of confusion as to whether Stila is cruelty-free or not. In large part that is because several years ago Stila, which had been cruelty-free, stopped being cruelty-free, as they were selling in China, which requires animal testing of products imported into China – to be clear, China does the testing on animals once the finished product arrives in China. They also have been known to pull an imported product from a shelf and test it – again, on animals. However, in 2017 Stila announced that they would no longer sell to China, so that they can once again be truly cruelty-free. Stila cosmetics is dedicated to providing women with high fashion cosmetics that fit into nearly any budget. Celebrity makeup artist Lynn Tilton created this cosmetics line. The cosmetics are regularly used in photo shoots for fashion magazines such as Allure and InStyle and in runway shows. Stila cosmetics are cruelty free with none of its products tested on animals. The company is also very active in efforts to reduce the carbon footprint and in organizations that support the community such as the Women Helping Women organization. Some of the cosmetic cases the company produces are refillable and some of them are recyclable as well. Stila understands that every little bit helps. Among the company’s many product offerings is a line of tinted moisturizer. 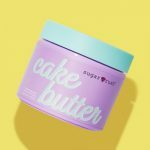 Several different tinted moisturizers offer consumers a choice of product that meets various needs and color options including the popular Bronzing Tinted Moisturizer and the Sheer Color Tinted Moisturizer. Sheer Color Tinted Moisturizer SPF 30 – this oil free formula provides medium coverage while leaving skin glowing. The higher SPF increases the amount of protection from the sun provided. The moisturizer helps smooth skin and provides a clear shine that improves the appearance of your skin. Ingredients include: octinoxate, zinc oxide, oxybenzone, purified water, beeswax, microcrystalline wax, burnet root extract, cinnamon bark extract, ginger root extract and willow bark extract. Other moisturizers offered by Stila cosmetics include the Bronzing Tinted Moisturizer SPF 15, the Illuminating Tinted Moisturizer SPF 15, and the Sheer Color Tinted Moisturizer SPF 15. 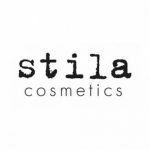 Stila Cosmetics can be purchased at the company’s official website (www.stilacosmetics.com) or at a local retail outlet. Find a local outlet through the company’s store locator on the website (http://www.stilacosmetics.com/stores.asp) or by calling customer service at 866.784.5201. Stila can be reached by mail: Stila Cosmetics, Attention: Customer Service, 111 West Wilson Avenue, Glendale, CA 91203 or by email at: asksarah@stilacosmetics.com.